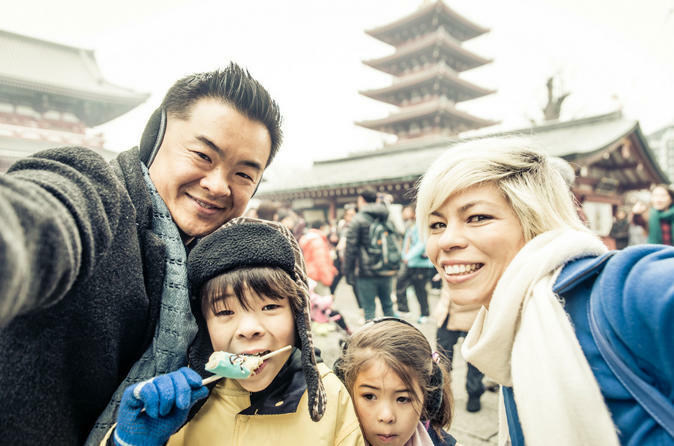 This personalised Tokyo experience is perfect if you're wondering how to get the most out of your Tokyo trip as a family. So let a Local Host take the pressure off and help you get to grips with how to navigate and make the most of your time here, creating a personalised day out that’s as unique as your family is. Tokyo is an exciting fusion of cutting edge modern culture and Japanese traditions with some of the best cuisine in the world thrown in. Get ready for a truly memorable family trip exploring city highlights and hidden gems that both you and the kids will love. On this custom experience, join a Local Host who knows where the best family friendly spots in Tokyo are, and understands that days out with the kids can be unpredictable! Spend time getting to know your Local Host who can give you advice and recommendations for things to see and do with your family, as well as where to eat, so you can live like locals for the rest of your trip too! * Your Local Host will show you the best family friendly spots in the city as well as how to get around, so you don’t need to worry about figuring out the metro or getting lost!